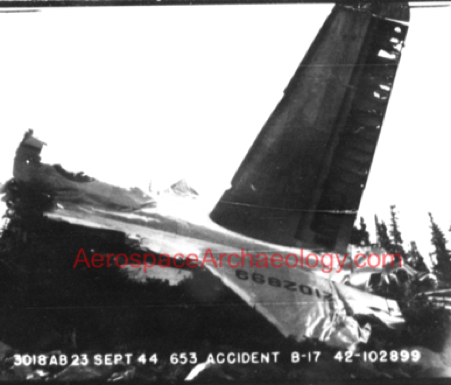 Two days after TB-24J crashed into the San Francisco Peaks, B-17G 42-102899 crashed into the peaks on September 17, 1944, killing all four men onboard the Flying Fortress. 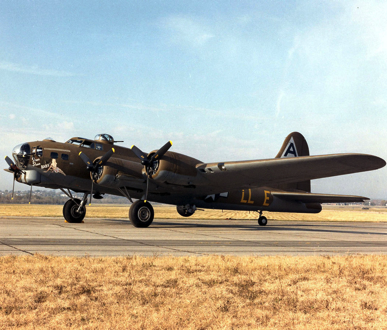 B-17G 42-102889 took off from Kingman Army Air Field on a round robin training night flight to Winslow-Tucson-Kingman. 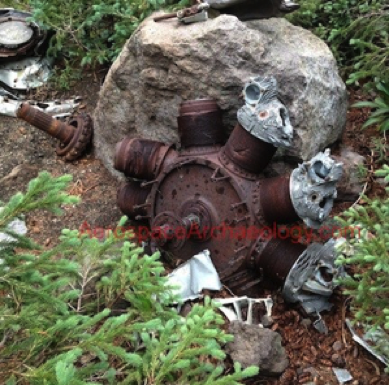 While in the vicinity of Flagstaff, the Flying Fortress caught fire and crashed in the San Francisco Peaks. Fabric still attached to this piece, possibly a control surface. 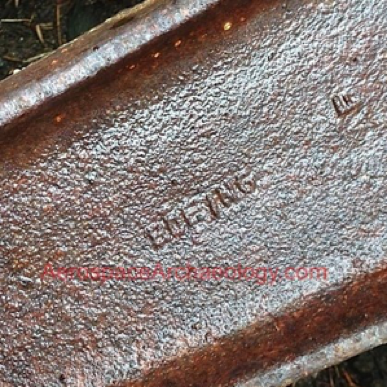 You can still make out the word "BOEING" on this part. 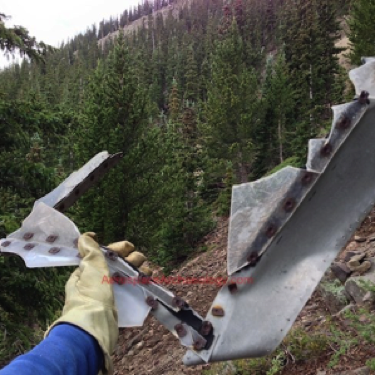 Piece of aluminum with remains of plexiglass. 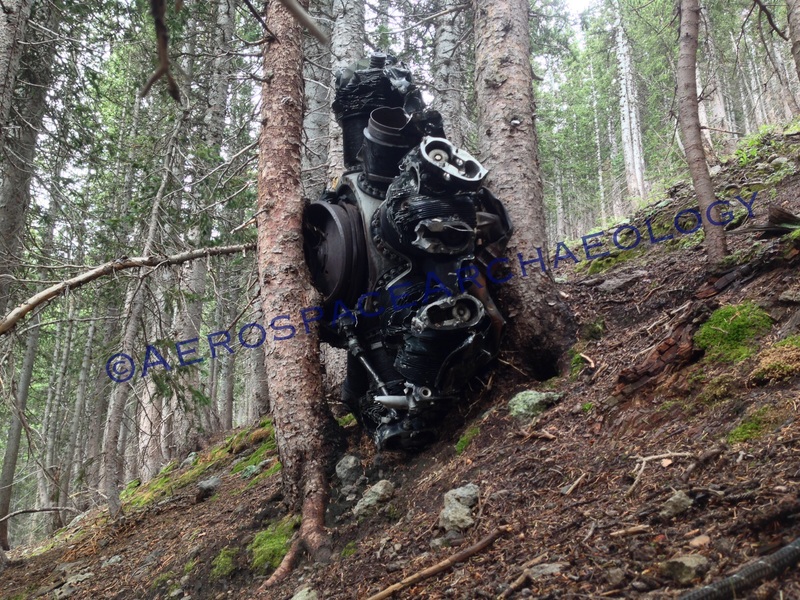 One of the engines in the bottom of a drainage. 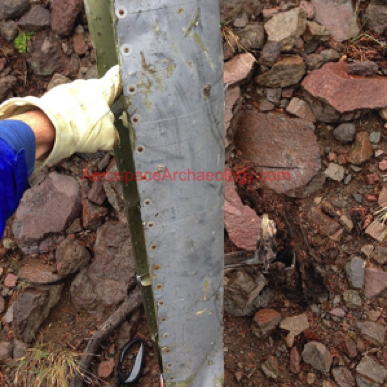 Tail number still visible on damaged tail section high in San Francisco Peaks. One of the main landing gears. 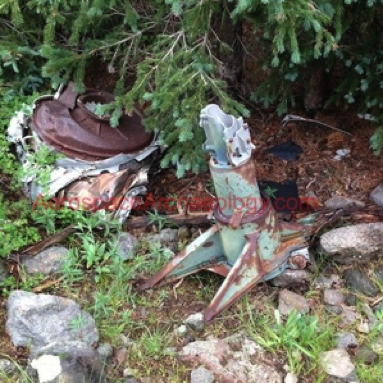 The "wiry" looking items are remains of the tire's steal belts.